As we begin the new year, let us look for peace and renewed ways to listen and learn from one another. On January 14th at 8 pm CST, the ELCA will have a live webcast “Confronting Racism: A Holy Yearning.” This conversation will offer a variety of perspectives on the U.S. criminal justice system. The webcast will work from two commitments: one is this church’s proclamation of Christ and the confidence that this good news brings to set us all free from the captivity of racism. The second is this church’s enduring commitment to address the complexity of racism and end discrimination. -How has the criminal justice system intersected with your life? -What are some injustices that need to change in the criminal justice system? -There are many voices crying out. What story would you like to share that involve people in the criminal justice system –police officer, judge, family or others? -How is God’s justice wondrously richer and deeper than ours? If you are interested in deeper conversation and learning, download “Called to Hear” – the new ELCA study guide for this church’s social statement “The Church and Criminal Justice: Hearing the Cries.” You can access these resources and many others at www.ELCA.org/webcast. A guide for leading a conversation on race, ethnicity and culture is available there. To see what our sisters and brothers in the ELCA South Carolina Synod are doing as an example of ways we can build new relationships, listen and learn from one another, view this video. 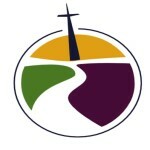 If you are not able to watch the live stream of the webcast a copy will be available at www.ELCA.org/webcast and at www.Facebook.com/Lutherans. The hashtag is #ELCAConfrontRacism. Good Sam is participating in the W.A.R.M program (Wrapping Arms aRound Many), a ministry supported by area churches where the homeless are housed and fed during harsh winter months. Good Samaritan is privileged to partner with other churches and community services. Our week is approaching–February 7-14–and many volunteers are needed to ensure the success of this ministry. We hope you will prayerfully consider providing assistance to the many in our community affected by homelessness. For this one week we will house and feed about 20-25 adults. It takes a tremendous amount of volunteers ensure our guests have a positive experience at our facility. We’ll need volunteers to prepare and serve breakfasts and dinners, monitors to work evening shifts (both men and women), people for set up and breakdown of beds, wash linens, and much more. The various opportunities available are listed on sign-up sheets in the Fellowship Hall. Please take a look to see if there is a way in which God is calling you to serve. If physically being here during that week is not possible for you, there are other ways you could participate. We will need donations of various items such as: cereal, coffee, creamer, sweeteners, sugar, hand soap, Lysol, and snacks. You could also agree to be a “Prayer Warrior” for our guests. There will be a prayer box made available for our guests to place requests. These requests are honored daily in prayer. If you have never participated in this ministry and are interested, but have questions, please feel free to contact Gail Wathen, TJ Maday or Jason Van Camp. All will be happy to answer any questions you may have. We look forward to another successful season with W.A.R.M! Please join us! Reading The Story together at Good Sam continues. Join us for these meaningful chapters in the story of God with God’s People. Advent is a time of preparation and leaning into the promises of God. Many of the promises of God are fulfilled in us through Jesus and the Christmas story. For ages, these events were foretold and the prophets pointed to their coming. In Advent, we too hear the prophets words and prepare ourselves for the unfolding of what God is doing through Jesus and in our lives today. Each Sunday we light the Advent Wreath with one additional candle until Christmas comes; we sing about the coming of the Messiah and prepare ourselves to receive the gift that Jesus is for those who believe. Join us at 8:45 and 11 am as we journey through Advent together in the coming month. The Angel Tree is set up in the entryway and you to can brighten the life of a child who will receive very little this Christmas. Through Carver Elementary’s “Holiday Helping Hands” event, we are making a difference in the lives of needy families with school age children. Join us as we continue our “Carver Connection” partnership throughout the season. Come to a Wednesday Advent Meal (5:30 pm beginning Dec 2nd) and stay for Evening Vespers from 6:30 to 7 pm. Decide to be a blessing to a neighbor near you and watch for God’s invitation to make a difference in their life. Add a few minutes of prayer to your day…offer thanks and begin listening for God’s nudge in your life. We hope your Advent time unfolds into a beautiful experience of Christmas. Nov 1 “Learning Faith” The Story returns to worship as we hear about the final days of the Israelite’s wondering in the desert. Nov. 22 “Claiming the Lost” We hear about the story of Ruth and learn about the God who claims the Stranger, the Orphan and lost. Nov 29 Advent begins and we hear the foretelling of the great Salvation of God that is coming. (We will break from The Story during the Seasons of Advent and Christmas and begin again on January 3rd with the stories of the Kings of Israel).